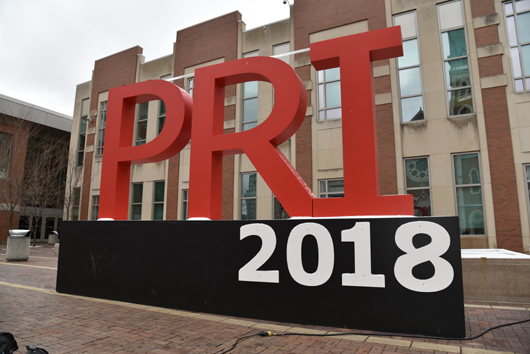 We were on location at the 31st Annual Performance Racing Industry Show, held December 6th - 8th, 2018 in Indianapolis, IN, and it seemed like the biggest PRI Show yet. 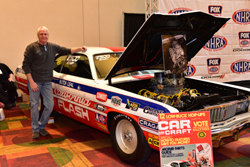 Performance Racing Industry does a great job every year, with seminars and conferences to help you grow your performance business, lots of networking opportunities, and tons of racing products on the show floor. So please sit back and take your time with the article. There's a lot of great info in here about companies whose products you just might be needing as you get ready for the coming season. The coverage starts HERE. 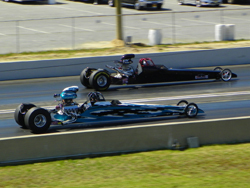 Shortly before writing this column I was on location at the NHRA Division 1 Lucas Oil Drag Racing Series at Old Bridge Township Raceway Park in Englishtown, NJ. One of the announcers was Lewis Bloom, with whom you may be familiar from the NHRA broadcasts on TV. I told Lewis how much I enjoyed his insightful analysis and statistics, and it got me to thinking about how I’ve used similar historical analysis in my own racing. This is a great time to have this discussion, now that the past season is behind us and we’ve started planning for the new one. As you’re reading this it’s the winter leading up to another racing season. This is when some basic maintenance can pay big dividends to your bracket program. In my last column, one of the main points I discussed was the importance of consistency and parts longevity as being part of a successful bracket car: consistency because it goes hand-in-hand with predictability, a primary factor in winning races, and longevity because broken race cars are not typically effective tools for going rounds. Stroud Safety has revised its popular window net measuring video with “trace” method details. The revised Stroud Safety Instructional Video “How to Measure for Window Nets, Wheelie Bar and Door Nets” has been revised to include detailed instructions on the “Trace Method” for window net measuring. Many customers find this method to be much easier and just as accurate as measuring with a tape measure and protractor. 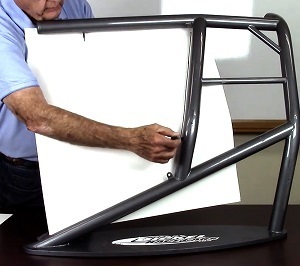 The video still includes helpful advice and procedures to fit your vehicle with wheelie bar and door nets as well. Check it out at: www.youtube.com/watch?v=XP4JBfEmBj4&t=18s. The Stroud Safety Youtube channel also features instructional videos on: How to Pack a Drag Chute, Remove and Install a Drag Chute Launcher Bag, Remove and Install a Pilot Chute and Deployment Bag, and How to Replace a Release Loop Kit. Stroud will soon be releasing a video on Seatbelt styles and installation tips. Stroud Safety has been supplying competitive drivers with Drag Chutes and Launchers, Seat Belts, Window Nets, Ballistic Blankets and Diapers, Fire Suits, Safety Apparel, Fire Suppression Kits, and more for over 26 years! Stroud re-certifies all their SFI rated products and specializes in custom design applications for many of their products. Call 800-554-4648 for more information and free catalog, visit the website at www.stroudsafety.com and follow on Facebook and YouTube. The Performance Racing Industry Buyers Guide goes digital with PRI Direct. This new, mobile-friendly platform instantly connects more than 2,400 industry suppliers to over 90,000 racing businesses and high volume buyers, and features product photos, videos and intuitive search tools. 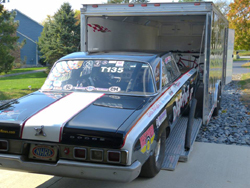 ATI Performance Products is a family owned and operated company that has been in business for over 50 years. 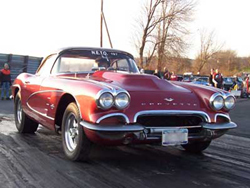 The company specializes in racing transmissions, torque converters, engine dampers and the internal parts for each. ATI races what they sell so you can be sure what you’re buying has already been race proven. Everything they make is manufactured under the roof of their 30,000+ sq/ft facility located in Baltimore Maryland. Continue to Mark Williams' Spotlight. 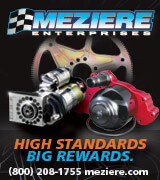 Meziere Enterprises is a family owned and operated company that specializes in cooling systems & accessories, flexplates & accessories, starters & accessories and chassis components & accessories. For 27 years Meziere’s goal has been to provide its customers with the very best products they can produce. That starts with designs aimed at solving problems common to the performance vehicles and their demanding parameters. It is executed by the company’s wide array of machining and manufacturing capabilities and attention to detail. It is supported by outstanding tech and customer service. 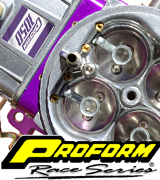 Moroso Performance Products manufactures over 4,000 products, from oil pans and oiling systems, to ignition wire, ignition components, valve covers, fuel system equipment, air cleaners, hard-core racing tools, chassis and suspension equipment and many other performance parts. 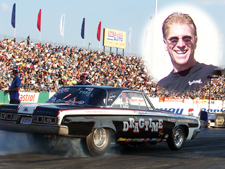 The company has an impressive list of customers from grass-roots racers to top level NASCAR® and NHRA/IHRA race teams. 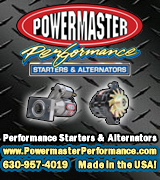 Powermaster Performance Starters & Alternators has been manufacturing new starters and alternators in their 145,000 sq. ft. facility since 1981. Powermaster Performance builds a wide range of starters, alternators, and Powergens for all types of domestic vehicles. With adjustable voltage alternators weighing less than 6 pounds all the way up to diesel truck starters and high amp alternators to make sure the race car gets to the track! PROFORM® Parts is a manufacturer of creative products from innovative concepts; Proform’s goal is to provide their customers with high-quality products at affordable prices - thus delivering maximum value. 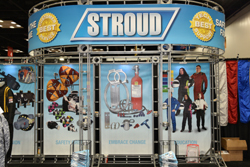 Stroud Safety started with one product, the drag chute, and now manufacturers over 150 products with new products introduced annually. 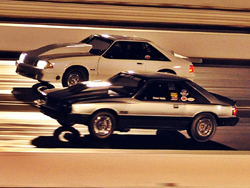 Almost every type of racing all over the world uses Stroud Safety products. 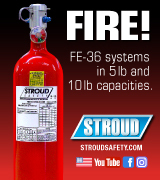 Stroud Safety also supplies fire suppression systems and manufactures an extensive line of fire suits, personal restraint systems, window netting, and general racing and shop accessories. Custom design is a specialty at Stroud. With a wide range of color options and on-site design and engineering, most products can be configured to meet specific needs of the customer. Where applicable, all Stroud products are SFI certified with re-certification available for required intervals. Continue to Stroud Safety's Spotlight. 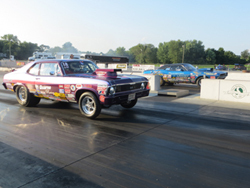 Club Scene is a spotlight of some of the great racing clubs and organizations across the country. If you have a car that fits into their requirements then check them out. Although these groups are comprised of very serious and hard-core racers, the atmosphere is very friendly and relaxed. 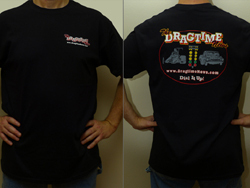 If you're involved with a racing group or club and would like to have it listed here, send an email to info@dragtimenews.com with your inquiry and put "Club Scene" in the subject line. Who: Mid Atlantic Super Comp Assn. Who: Mid Atlantic Super Gas Assn. Who: Mid Atlantic Super Street Assn. Who: East Coast Stock/Super Stock Assn. 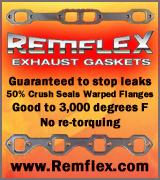 Contact: Dave Ley, dleyracing@aol.com / www.eastcoaststocksuperstock.com. 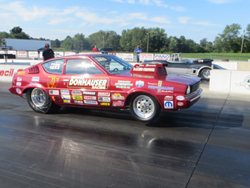 What: American DRAGCAR incorporates a variety of formats which provide racers with all-out, no-breakout drag racing that remains fair for all participants while also providing spectators with an easily understood drag racing show. 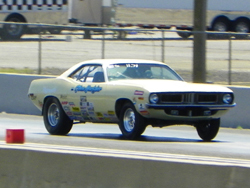 What: For 1979 and older cars, front engine dragsters, funny cars, altereds, gassers, super stocks and stockers in two classes: Nostalgia (10.00 and slower any dial-in, .500 full tree) and Competition (9.80 and quicker dial in .1 second increments, handicapped .400 Pro tree). 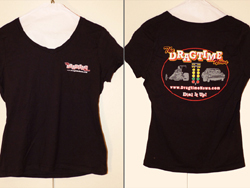 In addition to publishing The Dragtime News I've been hard at work designing new t-shirts, and I think I came up with a winner. They turned out great, and new for 2014 are women's sizes. These are high-quality, 100% cotton black t-shirts. The men's are Gildan and the women's are Hanes. All quantities are extremely limited. Men's sizes are M, L, XL, 2XL and 3XL; women's sizes are M, L and XL. More info is on the T-Shirts page.